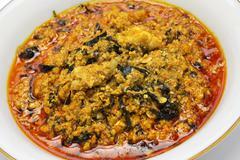 Try our all famous Egusi soup today. If you're looking for high quality Meal and a taste of home, you've come to the right place. At Kuramo Restaurant we’ll give you the attention and personal service you'll come to expect and enjoy.